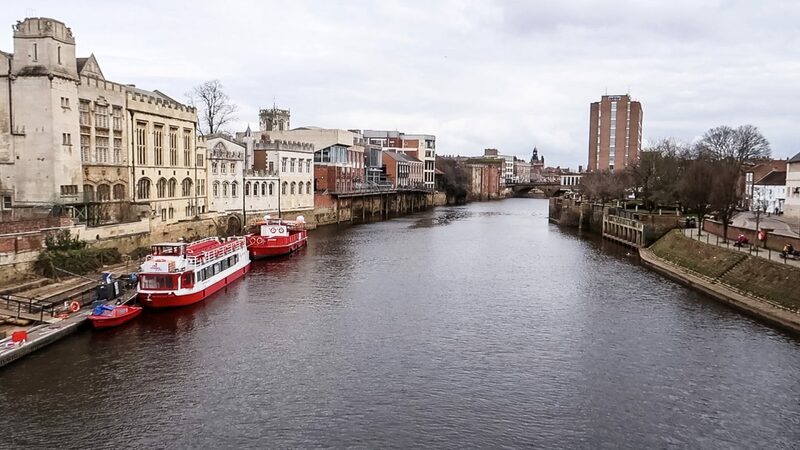 It’s half-term for many in Yorkshire this week and before we know it we will be looking for things to do during Easter, Whit-week and even the Summer holidays! 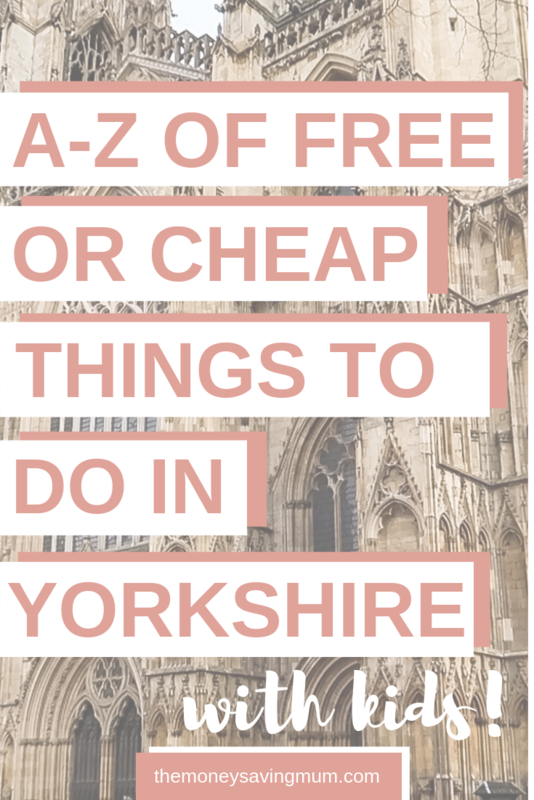 So today I share with you my A-Z list of free or cheap things to in Yorkshire with kids! This awesome water park opened in the Summer of 2016 and is one of only two (I think!) water parks we have in Yorkshire. We have some fabulous beaches on the East coast.. This is somewhere where every year I think we should go but never actually do! There’s even a Go-Ape up there, cycle tracks and 8000 acres to explore! I loved Eden Camp when I was younger and is for sure on my list to take the kids to this year. My near 8-year-old is really interested in the war and I think he’s at the perfect age to really take it what this original POW Camp is all about. This is another Yorkshire attraction that I think my eldest would love… located to the east of Hull Fort Paull is Yorkshire only remaining Napoleonic Fortress. Nina Spencer and her family are big fans of Geocaching. You can download the free app over at Geocaching.com for ones near you! 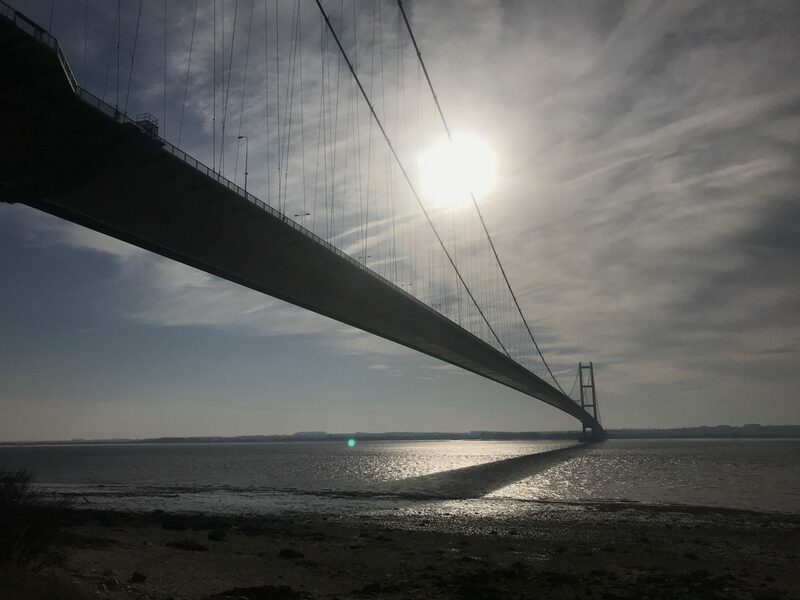 We can see the beauty that is the Humber Bridge from our bedroom windows and is somewhere we regularly go on a weekend when we are wanting to blow the cobwebs off, particularly on the foreshore. There is a Farmers Market on the ‘top car park’ the first Sunday of every month too and with the Country Park that takes you from the bridge itself to the bottom of the first tower; a dog walk and a visit to the pond in the very middle via what we locals call ‘Little Switz’ is exactly what the doctor ordered. Although perhaps not the cheapest activity you will find on here it is one that is pretty fun for all ages! We have Hull Ice Arena, Bradford Ice Rink and of course the ice capital of Yorkshire, Sheffield. Located just on the outskirts of Bridlington, you can pop in and even make your own rock as you listen to the history of the area’s premier confectioners as told by John Bull’s ancestor. Kirkstall Abbey is one of the most complete examples of a medieval Cistercian abbey in Britain. Set in wonderful parkland along the banks of the River Aire, Kirkstall Abbey boast historic architecture amid a haven of wildlife and greenery. Located at the Spurn Point is the first lighthouse on the east coast you’ll come to at the most southern point of the north bank; Spurn Point, 15 miles drive north will bring you Withernsea (Museum open from Easter onwards) then Flamborough (not far from Bridlington) and Scarborough further north still. Last summer we decided to randomly head up to the beautiful North Yorkshire Moors. We couldn’t believe that such a beauty was pretty much on our doorstep and we had such nice time. We were going to stop at Pickering and jump on the train up to Goathland but although beautiful I’m sure, it was a little expensive for a family of 4 so we drove up there in and amongst the sheep and sheer open fields. On the way back we headed across to Thornton-Le-Dale and just sat beside a beautiful clear stream soaking in the beauty that is the moors. We have a few shopping outlets in Yorkshire where you can find discounted stores such as Next, New Balance, Cath Kidston and so many more. I can’t promise you won’t spend some money there though but you can pick up some right bargains! Some of my favourite outlets in the Yorkshire area is McCarther Glenn at York, Junction 32 at Castleford and Lakeside at Doncaster. I remember visiting Peasholme Park as a child like it was yesterday but I haven’t actually visited for many many years! I have a picture that I typically can’t find of me and my Grandad on the rowing boats. The swan boats are a memory of which I will never forget about Peasholm Park. They not only have a lake but a miniature golf, putting green and obvious the island itself that you can fully explore with or without kids! The Rivelin Valley Park is situated on the Rivelin Valley Nature Trail in Sheffield which has some of the most beautiful waterfalls you will find in Yorkshire. 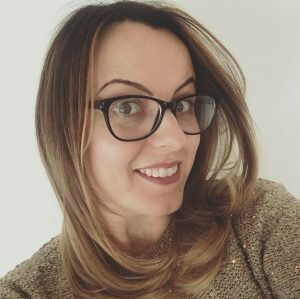 Maria at happymummy.co.uk says she and her family loves the paddling pools and beautiful lakes. The Seven Seas Fish Trail is something I again pass and have passed day in day out for many many years but have never actually ever done myself! The tour takes you around the Old Town of the city center where you go on the hunt for fishes that have been set in the pavement.. you can do it without a map as way the fishes are pointing shows the direction you should walk in to find the next one but if you do want a map you can pick one up from the Tourist Information Center. Can you tell I struggled with U… but this is a good one trust me! There are so many caverns and caves just waiting to be explored particularly in the Yorkshire Dales. We’ve only actually visited Whitby the once (probably more when I was younger!). It’s such a beautiful place as a whole but the ruins of Whitby Abbey is a must-see if visiting North Yorkshire. 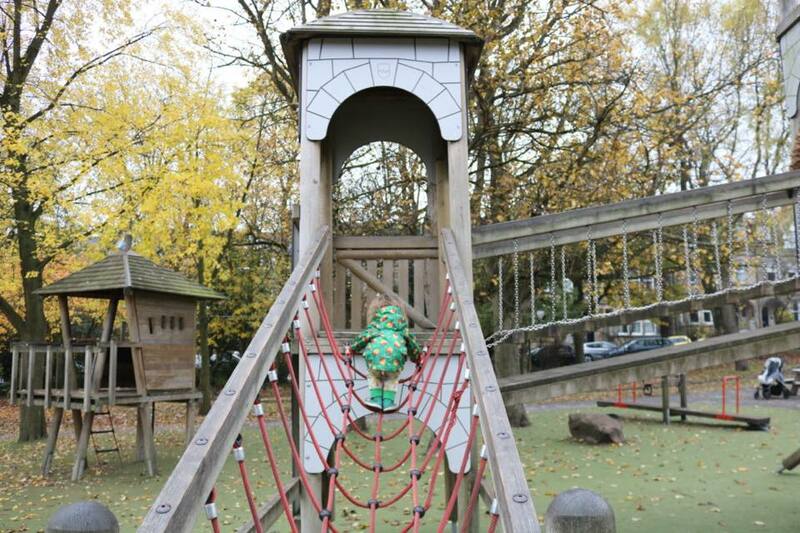 Although there are activities with Xscape that aren’t cheap there are tons of activities that are super super fun! 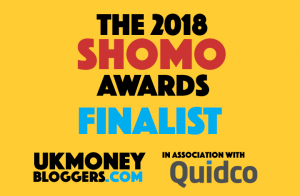 You have adventure golf, Gravity ariel adventures, Gravity Trampoline Park, Ten Pin Bowling, Escape Rooms, Soft Play and of course the SnoZone. They also have discounts on a Tuesday through to the end of March! 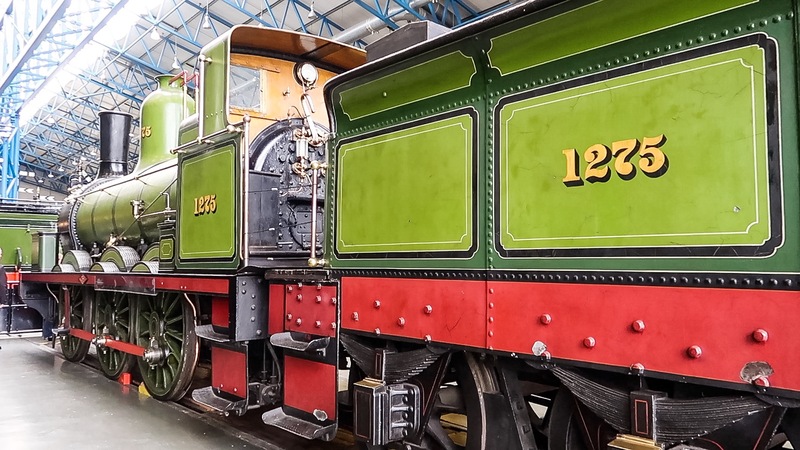 My eldest is obsessed with history at the minute and so in addition to visiting the FREE National Railway Museum during February half term week, we decided to also check out some of the historic beauty that York city centre has to offer too. Parking was £10 all day in the museum which is just a short walk away from the centre. We spent nothing meandering around the small cobbled streets and along the famous walls. The kids absolutely loved it and can’t wait to head back in the summer to go on a river boat! I hope this gives you some inspiration on things to do in Yorkshire this year.